If you’re a somewhat working-nomad you’ll be familiar with the benefits of distraction… whether that’s the barista extorting you for one more £3.80 chalice-of-caffeine (instead of the sub-let rent you should clearly owe by this point) or the loud Harvey Specter suit who just sat down across the room – light and periodic distraction can do wonders for your eyes, and the momentary reboot of concentration. But clearly… the same cannot be said for those ongoing and disturbing distractions – and it’s time to drown them out! [At the time of writing] this mad-cow gets around 15k concurrent-viewers on their ever-changing free YouTube stream – lofi hip-hop is great for getting down to chilled concentration – with none of them catchy-choruses or hi-hat cymbals crashing you out of the zone. 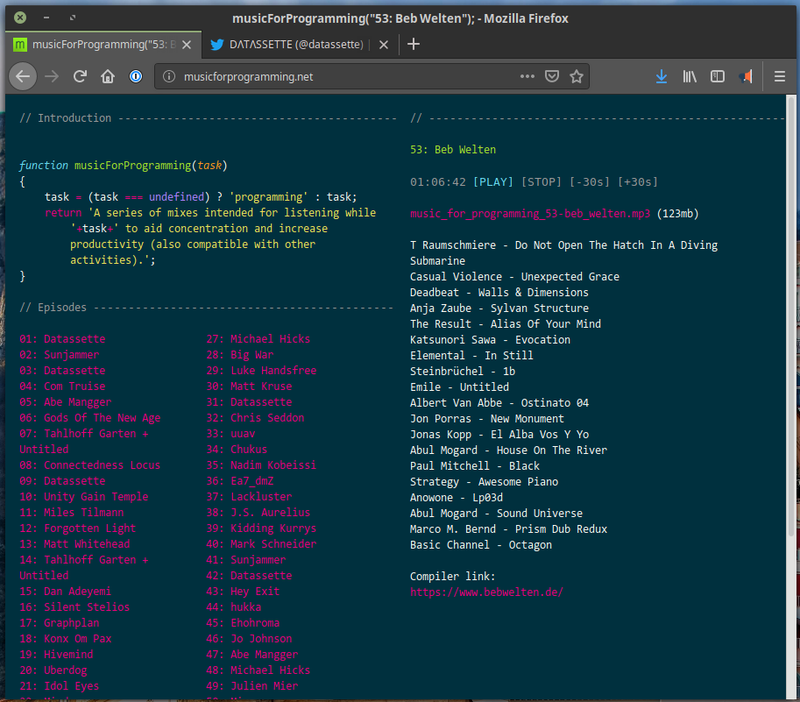 Expect; Drones, Noise, Fuzz, Field recordings, Vagueness (Hypnagogia), Textures without rhythm, Minor complex chords, Early music (Baroque, lute, harpsichord) and walls of reverb to name a few, coupled with a UI only a MOTHER could love – @datassette‘s musical mashup has collated 53 tracks for streaming, iTunes-ing, rapidly-syndicating and even torrent-ing for when you’re AFK or blazing the dial-up. White-noise. Google’s assistant, via a home mini, has a great white-noise generator built right in – just ask it – or check out my 2 track whitenoise playlist on Spotify. Life Background Noises. 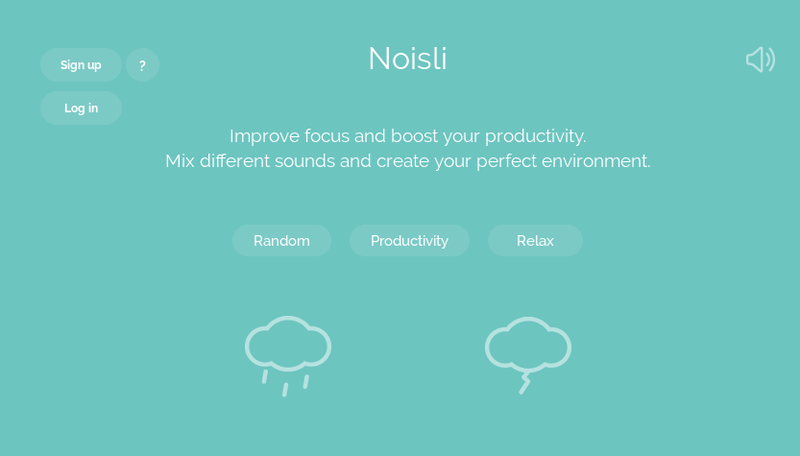 There’s a lot of spam links out there for noise generators so I don’t recommend googling it – however Noisli seems to have it right with a free, simple online noise mixer with any combo of Wind, Rain, Coffee-shop, Railroad and even Wave-gen for Whitenoise, Brownnoise and Pinknoise should it take your fancy. Final Frontier. For the fellow n3rdier readers of mine, may I first of all welcome you to my captains-log, stardate 41153.7 and mention with honour the next-generation style starship sounds mixer called Warp Speed. Axet at GitLab seems to have done it right, albeit with a less than beautiful UI. “Binaural Beats” are specially designed concoctions of various alpha/beta etc waves and well worth a go – the idea is to listen to them on a quiet volume. A good pair of headphones/earphones are well worth the investment and great for getting work done – especially when paired with an official policy of do-not-disturb when wired-in at work.